Another service offered by Rocky Mountain Fire is wildland mitigation. If you live within the district, you can request an assessment of your home and property, at no cost. 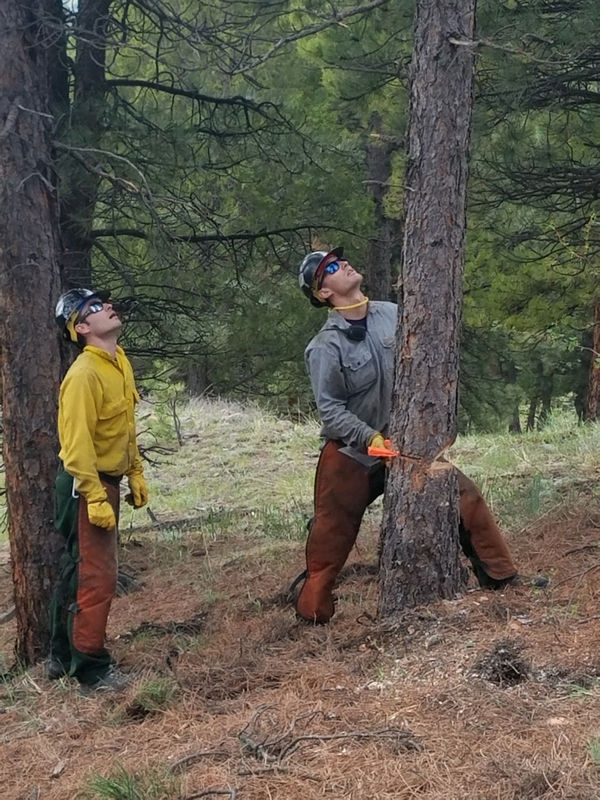 Our wildland personnel will help identify trees and shrubs for removal in order to better protect your home in the event a wildfire occurs in your area. In general, trees and shrubs should be cut back at least 20 feet from your house, roof, eaves and windows to prevent fire spread. Once a mitigation plan is agreed upon with the homeowner, Rocky Fire will assist with tree-thinning, vegetation-limbing, and chipping. Rocky Fire also organizes annual "chipping" events to help residents eliminate natural fuels such as tree limbs, brush, and other slash from their properties. During these events, residents may bring slash to one of our designated stations, where our wildland crews will help unload and run your slash through chippers. To schedule a mitigation assessment or for info on chipping dates, please email us at contactus@rockyfire.org.